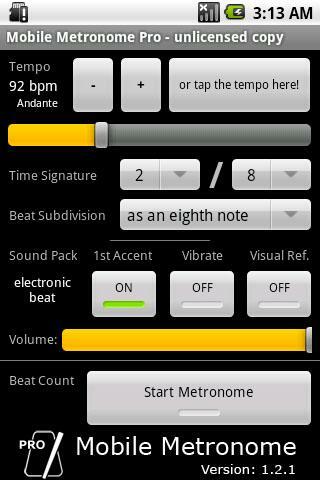 For a really small price you get a professional metronome on your smartphone with every feature you could ask for plus a lot more! - Adjustable tempo signature for simple, compound and complex meters. User interface is now ready for high resolution, ICS and JellyBean devices. Fixed and extended license checking. Now, each valid license check will last for, at least, 60 days.